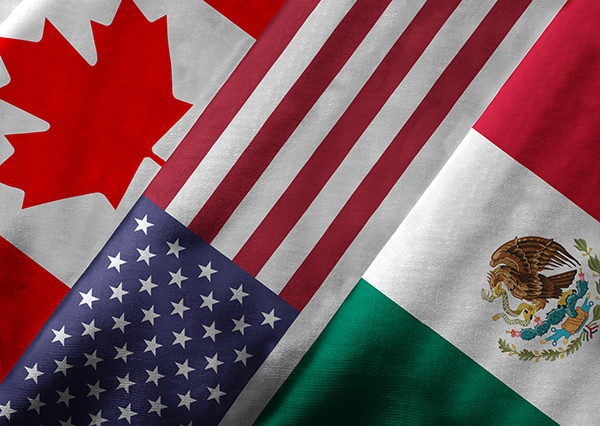 “Hundreds of thousands of U.S. and Canadian manufacturing jobs have been lost to Mexico since NAFTA was approved. At the same time, workers in Mexico have yet to enjoy fundamental rights, like the right to form their own union and engage in meaningful collective bargaining. The bottom line for the Machinists Union as we review the newly proposed NAFTA is whether it will eliminate the continued outsourcing, improve the standard of living for workers in all three signatory countries, and protect the rights of workers to enjoy fundamental human rights covered by conventions of the International Labor Organization, a United Nations agency. Far too many details of the text have yet to be finalized for us to make a final judgment. Given the past failures of NAFTA, and other trade agreements, we will be carefully reviewing the entire deal in the days ahead. “The Machinists Union remains hopeful that USTR will address the outsourcing of manufacturing work to Mexico, especially aerospace production jobs. Mexico’s average wage for a manufacturing worker is less than $3 per hour, and its repression of workers’ rights is a major contributing factor. Mexico’s manufacturing industry has dramatically expanded since NAFTA, with a direct negative impact on U.S. and Canadian workers. For example, since NAFTA, aerospace has become one of Mexico’s largest industries, employing approximately 40,000 workers. At the same time, U.S. aerospace facilities are being shut down. For example, UTC will be shutting down its aerospace facility in Chula Vista, Calif. A few years ago the company moved jobs to Mexico and continues to outsource jobs, as do many other U.S. employers.